Safety considerations for conveyor design are detailed in ASME B20.1-2018: Safety Standard For Conveyors And Related Equipment. This American National Standard has been revised, so it contains numerous changes that distinguish it from the 2015 edition. Considering our upright posture, opposable thumbs, flexible arms, and various other biomechanical components, the human body is designed to lift objects over distances, but it can be easy to overdo it. The world record for deadlifting is 500 kilograms (1,102 pounds). For the average human, attempting to lift this weight is associated with little more than cracking bones and torn muscles. When we lift something, we often bend our waist and extend our upper body, changing the back’s alignment and adjusting our center of balance in the abdomen. With significant loads, this can damage the discs separating the spine’s vertebrae and its supporting ligaments and muscles. Even while practicing safe lifting—giving a lot of support, tightening the abdominal muscles, bending the knees, and keeping the spine in balance—the body still undergoes some level of compression. With work that entails physical labor, some items will need to be lifted manually, but too much manual lifting can be cumbersome and exhausting. A tired, lethargic, struggling worker is one who can make mistakes and be prone to accidents. 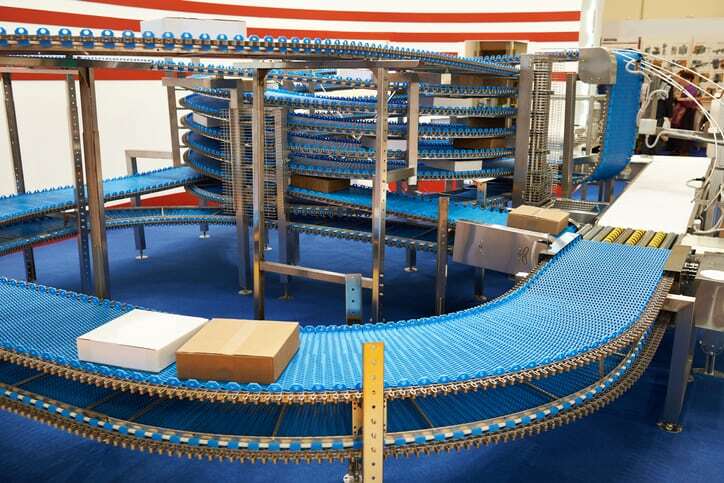 Accidents resulting from manually handling materials are often reduced by using conveying equipment. Furthermore, a sharper reduction in the accident rate is attainable by following safe practices in the design, construction, installation, operation, and maintenance of this equipment. ASME B20.1-2018 applies to the design, construction, installation, maintenance, inspection, and operation of conveyors and conveying systems in relation to hazards. The conveyors covered by this document can be bulk material, package, or unit-handling types installed for permanent, temporary, or portable operation. Intended to provide the safe operation and maintenance of conveying equipment, ASME B20.1-2018 addresses general safety guidelines for conveyors—e.g. for backstops, gates and switches, maintenance, lubrication, headroom, controls, operation, and fire safety—and specific safety guidelines—e.g. for fixed belt conveyors, en masse conveyors, mobile conveyors, pusher bar conveyors, tow conveyors, and other specific conveyor types. Furthermore, standard includes some background information, as well as an appendix detailing the specifications for the design, installation, commissioning, and periodic inspection of vertical reciprocating conveyors. ASME B20.1-2018 specifically excludes any conveyor designed, installed, or used primarily for the movement of people. Furthermore, it does not apply to conveyors for which specific standards are already in effect, and it should not be used for equipment like industrial trucks, tractors, trailers, cranes, hoists, platform elevators, and several others identified in the scope of the document. New definitions for mobile hopper railcar/hopper bottom truck unloader conveyor and hold-down wheels. 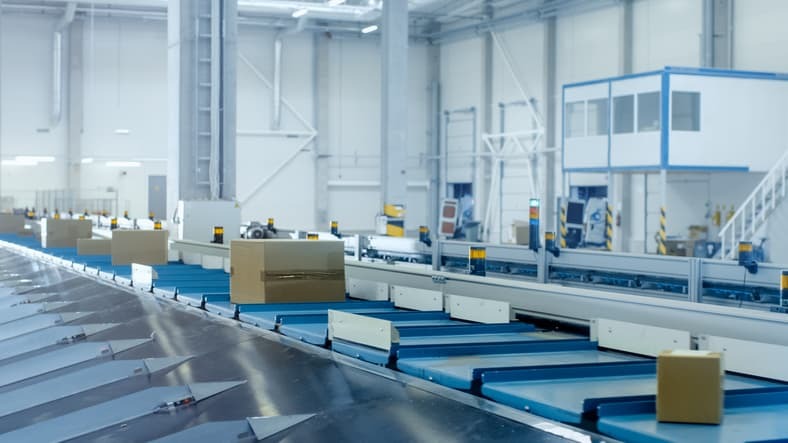 New provisions for tow conveyors, specifically stipulating warnings for when carts start automatically, and providing the means to allow the operator to disengage the tow pin from the conveyor pusher without being in front of the cart. New guidelines for mobile hopper railcar/hopper bottom truck unloader conveyor. New guidelines for electrified monorail conveyors used for assembly/inspection/testing processes. ASME B20.1-2018: Safety Standard For Conveyors And Related Equipment is available on the ANSI Webstore.